IMBA specialises on Grand Crus discovery and wine cellar management techniques. More than Fifty thousand Dollars worth of wines will be tasted during the program. The entire program lasts thirteen weeks in total. - the first five weeks segment will involve an online course focusing on the study of wines and spirits and will be carried out from the student's place of residence. -the second eight weeks segment will take place in the classroom in Montréal. It will involve the acquisition of service skills about wine, beverages, spirits and fine wine cellar management at a Butler standard of service. Small Class size: a group of students comprising twelve to fifteen candidates will participate in the eight weeks of training in Montreal. IMBA specialises in Grand Crus discovery and fine wine cellar management techniques. More than Fifty thousand Dollars worth of wines will be tasted during the program. During the first in-class training week in Montréal, a time slot will be reserved to review the online course and the writing of the Wine theoretical examination. 2- plus an official examination by the Wine & Spirit Education Trust (WSET) in two parts, theory and tasting, which will lead to the WSET Level three certificate. 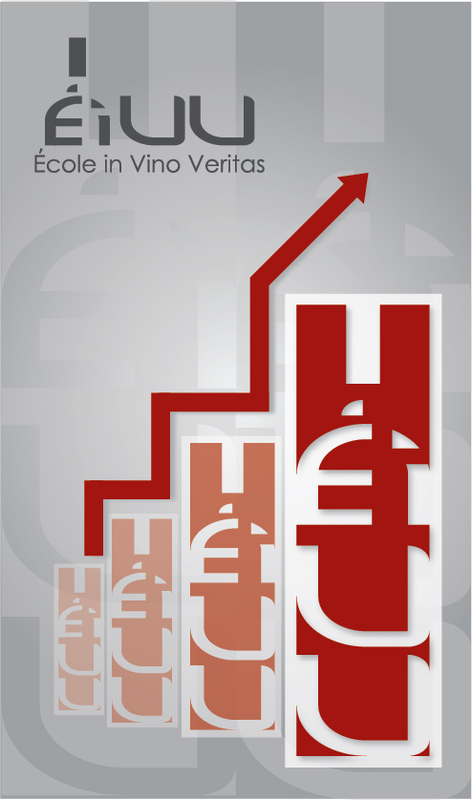 A presentation on a professional wine related cellar management topic will be requested from IMBA students. Students will be required to work on an independent wine related cellar management topic that meets the professional aspirations and profiles of each individual. A supervisor assigned to each student will help them in framing and developing their individual projects. Come exam time, the project will be presented and defended by the student in front of a jury. The project will be assigned at the beginning of the course session in Montreal. Formative work and tests to prepare for the final examination will be conducted throughout the program. In addition to academic achievement, general attire, how the student conducts him/herself and presents a professional attitude will be observed throughout the session and will be noted in the final evaluation. From 55% to 70% will gain a candidate the Mention "Pass"
It will be possible to candidates to resit the exams to improve and reach a higher level of success and gain Distinction. In order to obtain the IMBA diploma, the student must be present at each course and must show active participation, sustained attention and submit the required work on time. - the wearing of the uniform is compulsory at all times. - students will need to pay close attention in class. No telephone or internet use will be permitted except during designated periods reserved for online work. 3- Butler Diploma of the International Montreal Butler Academy (see example). A formal graduation ceremony will be held at the end of the Montreal session. Sixteen thousand US dollars (US $ 16,000). - accommodation and full board for the eight weeks in Montreal including planned outings and trips. The only other expenses incurred by the students will be their transportation costs to come to Montreal. Upon acceptance of a student's application, a deposit of US $ 1,000 will be requested and the balance of the program costs (US $ 15,000) must reach us no later than forty-five days before the beginning of the session. The deposit is not refundable for any reason but may be deferred to another course if the student becomes ill or if a personal situation prevents him/her from starting on the date initially agreed. If you would like more information about tuition fees, please contact us by e-mail and we will be pleased to send you our policy on this matter. Otherwise, we assume that you have read the foregoing and fully understand the terms of this paragraph. If you have any further questions, please do not hesitate to contact us, we will be happy to answer them. We also invite you to view the videos about the IMBA training offer and topics related to the butler profession on our YouTube channel. NB: The above conditions are subject to change without notice. IMBA reserves the right to accept or reject applications. - Candidates are admitted on invitation after evaluation of their dossier. No prerequisites or work experience related to the butler profession will be required for admission to the IMBA. There is no maximum age limit for enrolment; the minimum age to apply is twenty-one years old. - desired profile: candidates will be selected and accepted on the basis of their motivation, maturity, enthusiasm and willingness to excel in acquiring wine knowledge. -an in-person interview - or by Skype - will be conducted by IMBA to validate the candidates aspirations and guide them in their career choices. About the Wine & Spirits Education Trust (WSET): the concentration of studies on wines and spirits is particularly important. At the academy we wish to train the elite of the profession and augment the Diploma we issue by the addition of WSET certificates with the mention: “Pass with Distinction”. WSET certificates are recognized as the quality standard worldwide. The courses will be held in Montreal, Canada in a bilingual context (French-English).